The cars we drive are changing, in their capabilities, in how they’re made, and how they look. Autonomous vehicles are beginning to appear on the roads, and more and more cars are being made with 3D printed parts. Electric and hybrid cars are slowly becoming more affordable and numerous. Eventually, we may be looking at roadways full of electric, autonomous, 3D printed cars – safer, more environmentally friendly and customizable. The LSEV has two out of three – it’s not autonomous, but it is electric and 3D printed. Mostly 3D printed, anyway – the two-seater car from Italian manufacturer XEV has all of its visible parts 3D printed except for the chassis, seats and glass. The car was developed in collaboration with Polymaker, which was responsible for the R&D of the material used to 3D print the LSEV. Using 3D printing enabled the manufacturers to reduce the number of parts in the car from over 2,000 to only 57, while research and development time was shortened by two thirds. Investment costs were also reduced by more than 70 percent in comparison to a traditionally manufactured vehicle. “The research and development process of a car model conventionally takes between three to five years, but 3D-printed cars like XEV only take between three months to 12 months,” said Luo Xiaofan, Founder and CEO of Polymaker. The LSEV is also much lighter than conventionally manufactured cars of its size – about 450 kilograms as opposed to a ton or more. Unlike other 3D printed cars that have appeared, the LSEV can be mass produced, and will be. Already, the car has received 7,000 pre-orders, including from such organizations as the Italian National Post Service and car rental company ARVAL.The Post Service says that it wants to use the LSEV as the “Last Mile” delivery vehicle. The reduced number of seats leaves more room for storage, and the high position of the driver’s seat makes it easy to get in and out of the car. XEV plans to make a small production run at the end of this year, with the LSEV available by April 2019. Judging by the reception and the number of pre-orders already, it will be eagerly awaited. Eventually, the company wants to offer customers several customization options for the car as well, and it will undergo regular improvements based on market feedback. This is far more than a concept car – the level of interest shows that many people are ready for alternatively powered cars, as well as 3D printed ones. Even 3D printed cars with conventional fuel are more eco-friendly – and economical – as their light weight greatly reduces the amount of fuel required to power them, and reduces emissions. The LSEV was introduced in China at the China 3D Printing Cultural Museum, which was opened last June in Shanghai’s Baoshan District. The educational, research and cultural facility consists of nine sections including a 3D printing research center, an additive library and an innovation library. The LSEV drew a great deal of attention at the Cultural Museum, and several Chinese organizations have expressed interest in the car. 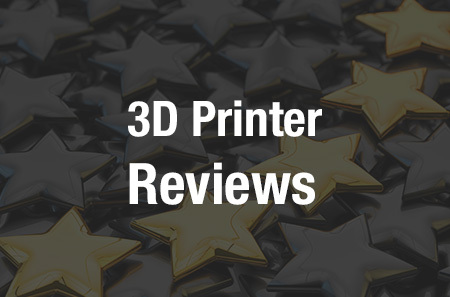 Discuss this and other 3D printing topics at 3DPrintBoard.com or share your thoughts below.